There are many different situations an angler can find themselves in, sudden changes in weather, or temperature, wildlife, and water conditions. Sometimes when fishing a river or stream the water level can rise quickly, although that does not happen very often, it is something we always watch for. The most challenging water condition I have faced is ultra clear water. Up here in the Alberta Rocky Mountains, the water is crystal clear. Clear water is an absolute pleasure to fish, however, it can be a total nightmare if you don’t approach it with the respect it deserves. I am going to detail three tips to help you use your Deeper portable fish finder in these clear water conditions and catch fish. 1. Splash. Never and I mean NEVER toss or cast a Deeper Sonar into ultra clear water in a river or a lake, just don’t do it. Many of the trout species in the river or lake you cast a sonar into, will scatter away and your fishing will be over before it even started! Ever watched an eagle or a bird of prey swoop down and pluck a trout out of a lake or river? 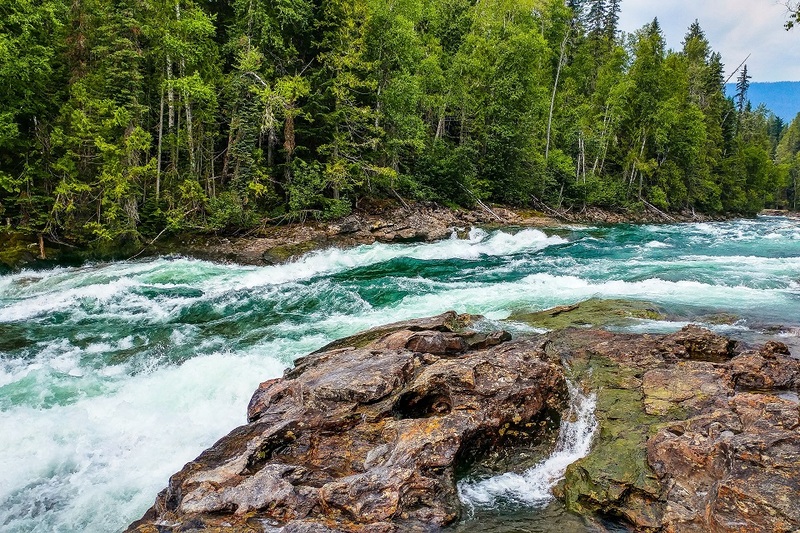 For the most part, the trout in these waters have the most to fear from outside factors like birds, bears, and other wildlife and, of course, fishermen. The big splash from a sonar that has been cast out will scatter the fish off. They will think a bird is in the area and the fishing will be very slow in that spot for the rest of the day. Be very careful of your approach to the water and never cast or throw a sonar into the water. Ultra clear water fish are conditioned to observe the surface of the water for insects, as well as threats. Approach the water with extreme caution to keep from scattering the fish off. 2. Rivers. 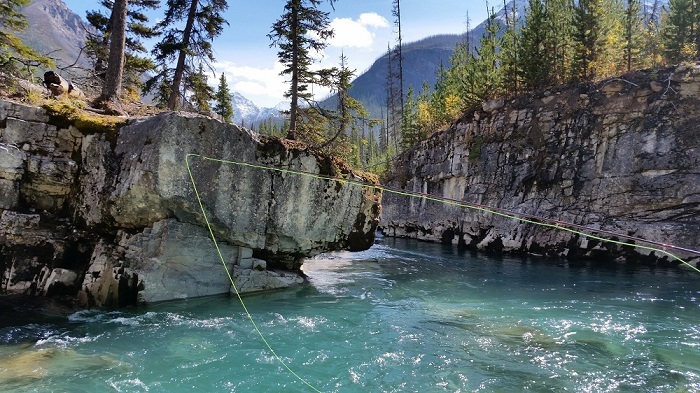 For ultra clear rivers and streams, the best way to use your Deeper Smart Sonar is simply float it over the hole so it looks like something natural floating on top with the flow of the water. 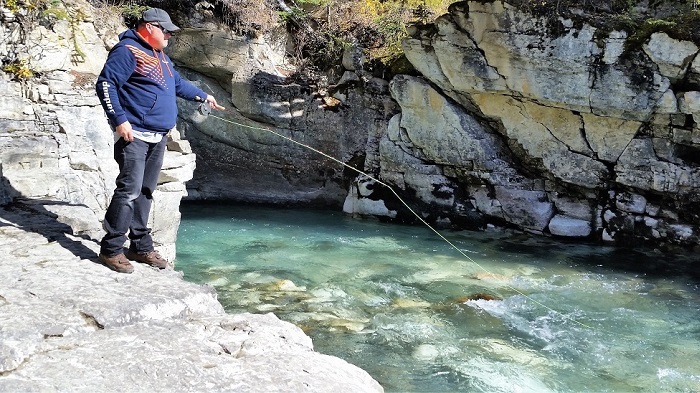 Most times you are in the water with your waders on anyway and with a spinning rod and reel, you can float your Deeper unit downstream by simply letting the flow of the water carry the unit down. This has a couple of advantages. First, you can view a large portion of the river with each pass and be mapping the section with the Deeper Pro +. You can gather much more info this way and you will be surprised at how curious the fish can be with the Deeper fish finder. They will come up and sometimes bump it. 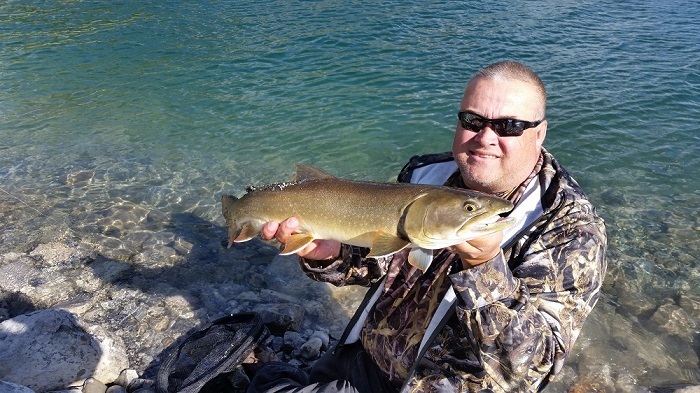 Bull Trout are very curious and will try to inspect the Deeper fish finder. When retrieving the unit reel it in very slowly, move a couple of feet across the river and retrieve the Deeper over a different section to continue building your map and scanning the water for holes. Remember to slow way down when working on ultra clear water. 3. Lakes. For ultra clear water lakes, it’s best to get on the water with a float tube, canoe, or kayak, or with a good boat and use your Deeper Smart Sonar with the Flex Arm Mount. You can map and gather all the info you need this way. If you are fishing from shore on a clear water lake like this for trout, and if you must use your Deeper fish finder, make sure to cast the Deeper out away from your fishing location and let the wind drift your Deeper into position. I do not recommend casting the Deeper into any ultra clear water mountain lakes, the splash will alert and scatter the trout. The fish in these lakes are conditioned to observe the surface very much like the river and stream fish. They are always eyes up, searching for insects to eat and watching for threats like osprey or eagles. Ultra clear water is a challenge, you can use your Deeper, just make sure not to splash it near the area you want to fish. Again, it’s best to fish ultra clear water lakes with a boat or float tube, and remember easy does it, no splashing. Here in Alberta and fishing the Rocky Mountains, I have learned to slow way down and approach the water very carefully. It’s much different than the lakes in the Edmonton and Athabasca areas, where the water is not clear. In many lakes with algae and other conditions like bog stain that make the water less clear, you can fire away at those with the Deeper fish finder without having to worry about the splash. But remember, always slow down and change your approach when it comes to ultra clear water when you find yourself fishing in the mountains. Be creative and find ways to use your Deeper and develop your skills on clear water. 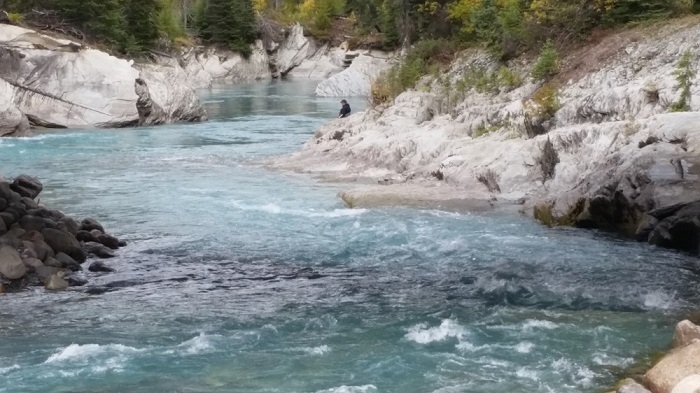 Trout fishing in the mountains is a real treat and a heck of a challenge. Remember fish in ultra clear water can see everything, assume they see you and approach the water with care and be as stealth as possible. Having respect for ultra clear water conditions will result in you catching fish and having a truly great time. Keep it simple, keep it calm, and by all means keep 'em busy!